The dry chutney recipes are a big help as you can make them when you have got time and serve them anytime as and when a side dish is needed to make a meal interesting. These dry chutney powders are good to use as a spread on sandwiches or on chapati or parathas to take for lunch or picnic. The kids love these dry chutneys too. So when the kids are not so keen on eating the vegetables with their rice or bread, these dry chutneys can be used to tempt them. Some of these chutney powders are available ready to eat in the market but most of them are really very easy to make at home. So do try to make them at home when you have time. I am sure you will love the taste and the process. 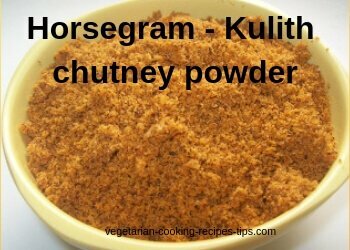 Visit the dry chutney powder recipes by clicking on the images below or continue reading about dry chutneys by scrolling down. So let us get to our dry chutney recipes. - This chutney is healthy and has a long shelf life. - Serve with chapati, rice, dosa, sprinkle on sandwiches etc. - Javsachi or alsichichi chutney powder is served with plain rice, chapati, dosa etc. These dry chutneys not only add great color to the meal, they are tasty too. Some chutneys are served with particular dishes. 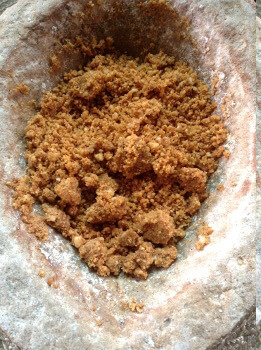 For example, the roasted Peanut chutney powder - Shengadana Chutney or the dry coconut chutney goes very well with bhakri(a jowar/sorghum bread). These chutneys can be mixed with a little ghee or curd (plain yogurt) or a little oil as you like. Eat with plain rice or chapati. The chutney podi goes well with rice as well as chapatis. These dry chutneys are also good to spread on the toast or sandwiches.They are good to take as an accompaniment for any bread, roti, rice dish when you go traveling or for a picnic. 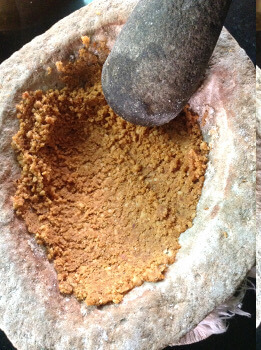 The dry chutneys may also be pounded using a morter and pestle instead of grinding in a mixer/blender. That method of pounding chutney gives better taste and texture though it needs more time and energy. (You can always think of someone you are angry with, while pounding the chutney. Works very well as a therapy). When you do not have time or energy to pound a chutney, use mixer/blender. You can serve all these chutneys with plain rice, curd rice, chapati, dosa, idli, uttapam, poori, paratha etc. You may also use them on buttered toast or on a toast with a little ghee. I am sure you will find these dry chutney recipes useful. I always keep a few of them ready as my family likes them. You can also spread a dry chutney with a little ghee or butter and roll it to give to your child as a snack or in the lunch box.